When it comes to our health, along with eating healthy and getting plenty of exercise, one of the things that we are told is to get plenty of sleep. For many of us, getting a full eight hours of sleep, is more of a pipe dream than anything. Our lives are getting busy and more interconnected than ever, making it harder for us to disconnect and get the sleep we need. This decrease in sleep can lead to an increase in cardiovascular disease. At night, during sleep, our body naturally lowers our blood pressure and our heart rate. By lowering our blood pressure and our heart rate, our heart is able to slow down and relax. The slowing down of our heart is important to ensuring that our blood pressure remains low. Without the ability to lower our blood pressure at night, our blood pressure rises throughout the day. Higher blood pressure is not something to scoff at. In addition to regulating your blood pressure and heart rate, our bodies also regulate our hormone levels. The hormone levels that are regulated are responsible for regulating stress, our immune system, and our appetite. This means that our mood, how we feel, and how we function are all maintained by our sleeping. In a study done in South Korea, researchers found an alarming problem among those that they researched. 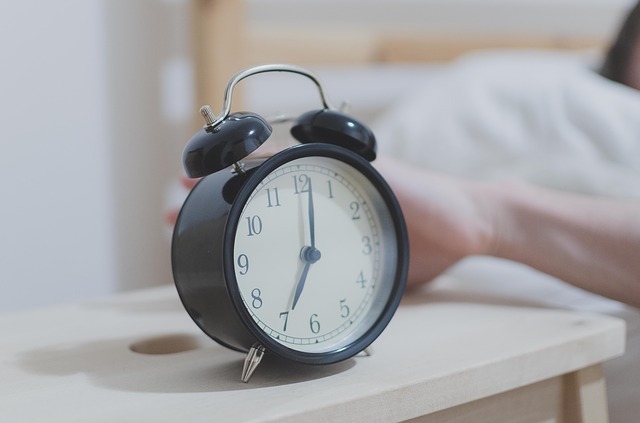 In the participants that had on average five hours of sleep or less, the researchers found an increase of calcium buildup and arterial stiffness. These two symptoms are importants signs of oncoming heart disease. In other studies done, researchers found that there were increases in risk for other cardiovascular diseases. Some of the other cardiovascular diseases that had an increased risk were: high cholesterol, diabetes, and obesity. Some of these diseases are a larger issue in that they lead to other issues that compound in more sleep problems. All of these problems are not only symptoms of a lack of sleep but are also problems that come from people who result in too much sleep. Too much sleep can also result in health problems as our bodies need only a certain amount of sleep. By increasing the amount of sleep someone receives, their body produces an abundance of hormones and chemicals that results in a negative effect of their body. This included an increase in potential for stroke in participants. While a day or two of missed sleep might not have an effect on our well being, prolonged periods of lacking sleep will start to have negative effects on our bodies. While much of our mental state is regulated by proper sleep, the increase in risk for cardiovascular disease is great concern. Increased blood pressure, greater calcium buildup, and arterial stiffness are huge warning signs of major cardiovascular disease. The increase in risk of stroke, heart failure, heart attack, and other cardiovascular disease are not worth missing a few hours of sleep at night. Do you suffer from sleep problems and exhaustion? Our Hormone Testing can help you uncover hormone balances that cause sleep difficulties.